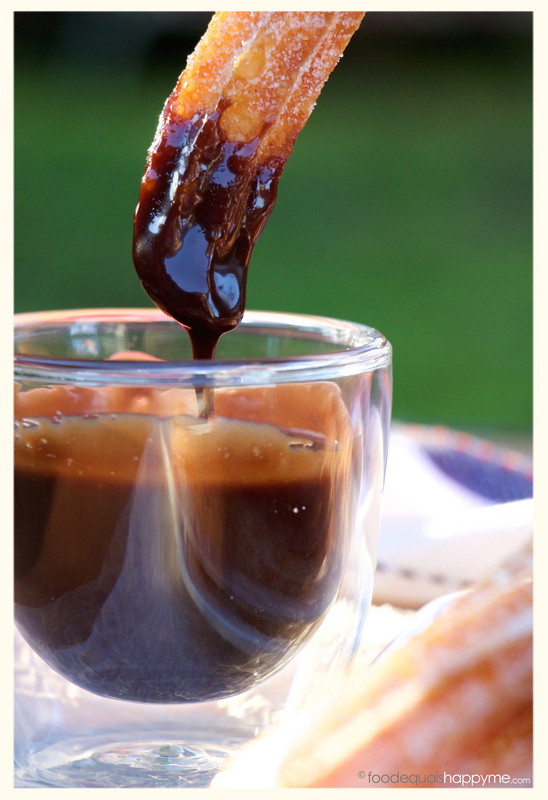 I love baked goods but every now and again a little bit of fried goodness is just what you need, and when you think of fried goodies, Churros are right up there on the list – and these are made even better with a super quick & easy Nutella dipping sauce. Crispy, sweet, still warm churros are heavenly to eat, and surprisingly pretty simple to make (as long as you’re not afraid of a bit of deep frying). To keep things simple I’ve paired them with a ridiculously quick Nutella sauce, just Nutella & milk heated through to make a thick nutty chocolate dipping sauce, you can’t get easier than that. 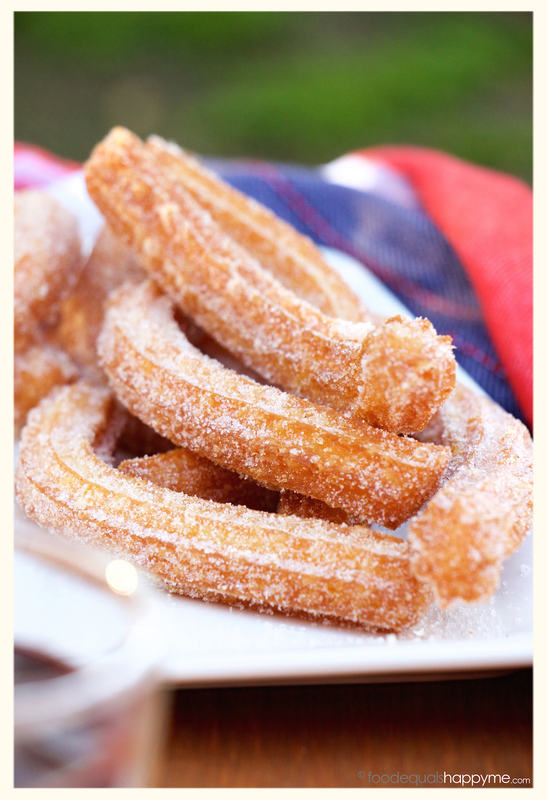 If you haven’t made churros before, now is the time to give it a shot. Place the butter, water and 1 tbsp caster sugar in a saucepan over a medium heat, stirring occasionally until the butter has melted. When the mixture just comes to a boil add the flour and salt. Keep the mixture on the heat and stir continuously with a wooden spoon for 1 minute or until the mixture forms a ball and comes away from the sides of the pan. Set the saucepan aside for 10 mins or so to cool slightly. Meanwhile prepare the cinnamon sugar mixture by combining the 1/2 cup caster sugar and ground cinnamon. Pop the mixture on a plate, ready to roll the cooked churros through once cooked. When the churros mixture is warm and not hot (if too hot you will just scramble your eggs) add your eggs one at a time, mixing thoroughly after each addition until well combined. If you don’t feel like using a bit of elbow grease, then you can also pop the mixture into your electric mixer to beat in the eggs one at a time. Once combined, transfer the mixture to a piping bag fitted with a 1-2cm star piping tip. Pour the canola oil into a deep sided saucepan, enough so that the oil comes up the sides around 6-8cm. Heat the oil to 180 degrees celcius, or when a cube of bread goes golden in around 30sec when dropped into the oil. Carefully pipe the mixture into the oil, and use a pair of scissors to snip off the mixture from the piping bag (it won’t drop off by itself when you stop piping). 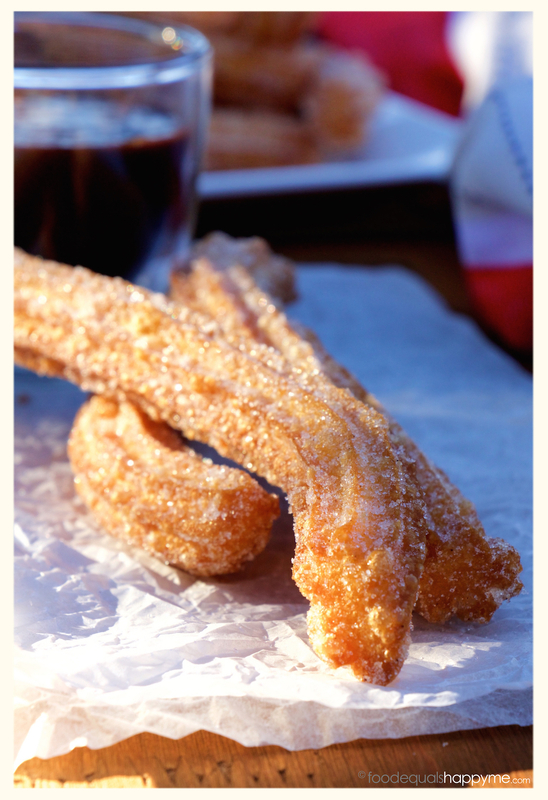 You can make the churros as short or long as you like, but around 12-15cms is a good length to aim for. Fry in the oil for around 3mins or until they are crisp and golden. Drain on paper towel before tossing through the cinnamon sugar mixture to coat. To make the quick nutella sauce, place the nutella and milk in a small saucepan. Cook over a low-med heat, stirring occasionally, until the mixture is smooth and a thick sauce consistency. If you want your sauce a little thinner add more milk, likewise if you want it a thicker consistency add a little more nutella – it’s really up to you. 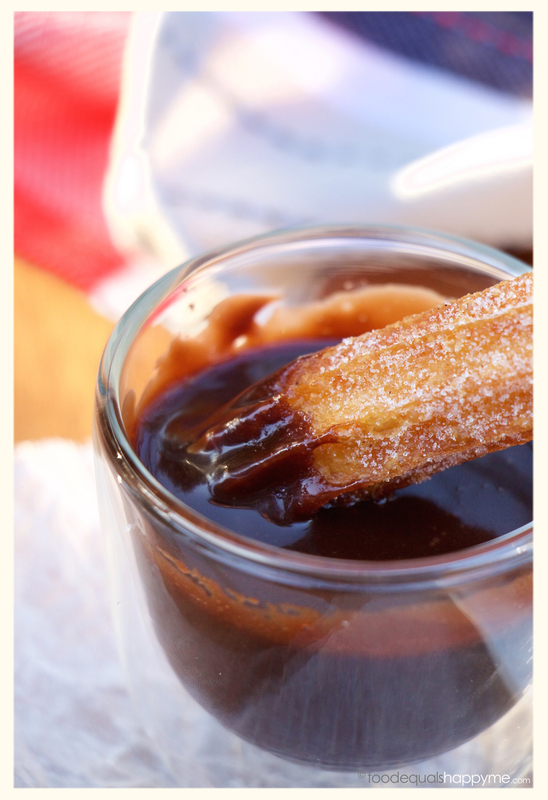 Serve the churros warm with the Nutella sauce for dipping. This sounds AMAZING. How could you go wrong with Nutella anything? They look amazing!! 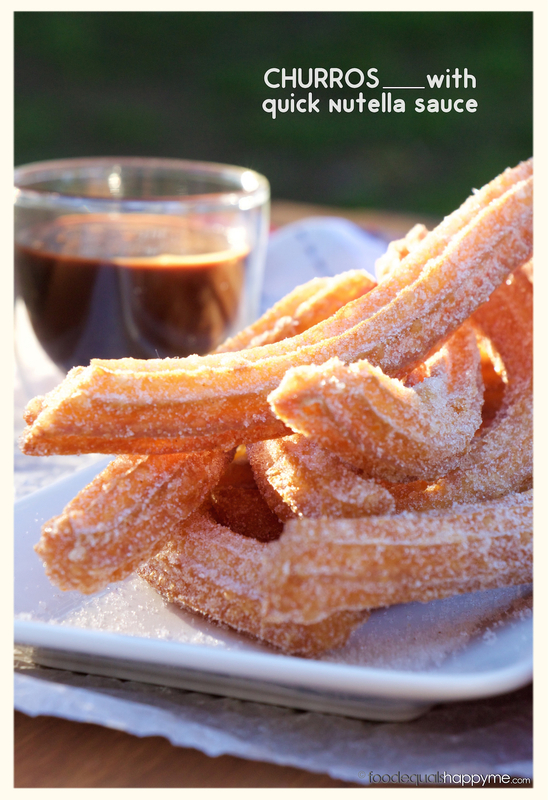 Love churros but never tried making myself. Will need to give this a go!